For people who are aging in place, living with a disability, recovering from an illness or injury, or adjusting to a major life transition, navigating the typical activities of daily living can be an ongoing challenge. Home care can be a lifeline. Non-medical home care services provide the assistance people need to maintain their independence in the places where they live, and to enhance their quality of life along the way. This is different from, and in addition to, the more common home health alternative. Home care is an important partnership between a person in need of assistance – and, often, their families – and a trusted, qualified provider. But when it comes to selecting a home care provider, where should you begin? What should you look for? To ensure you choose the right partner to fit your needs, consider the following characteristics. Longevity. The home care segment first emerged about 17 years ago. Look for a provider that has years of experience in the industry. Expert caregivers. Key to any home care partnership is the caregiver. It takes a special kind of person to be an effective caregiver – compassionate, sincere, attentive, trustworthy and experienced. Look for providers who have a thorough process for vetting, selecting and retaining caregivers. Background checks, references and applicable experience are critical. And be sure to select a provider that values ongoing caregiver training and that has a clear supervisory process to oversee quality of care. Commitment to caregiver fit. Each individual is unique. The most successful client-caregiver relationships are achieved when the caregiver is a good fit for the style, disposition, needs and personality of the individual being cared for. Look for a home care provider that is committed to matching the caregiver to the unique needs of the individual to be served. Continuity of care. Once caregiver fit is established, there is value in consistency. Can the provider ensure ongoing access to the same caregiver or team of caregivers? Does the provider’s caregiving team include professionals with tenure? Is sufficient backup available in the event your regular caregiver or team of caregivers become ill or are otherwise unavailable? An approach that engages the family. It’s very common for individuals who need assistance maintaining their independence to have a family member or other loved one that provides ongoing support. Home care is an extension of that support. Look for a provider that engages family caregivers in the ongoing care plan. A range of services. Home care services vary. Be sure to examine a provider’s service portfolio. Can it meet your initial needs? Will it be flexible to how your needs may evolve over time? Does it meet any special needs you may have, like language requirements? Does it include any unique services or features that will provide you with additional value? Availability. Be sure to understand a provider’s availability to meet your service needs. Are services available on nights, weekends and holidays? Is there flexibility in the number of hours required for service or a minimum duration of a service engagement? Is there a way to reach your provider around the clock if you have an emergency? Consider how your needs may evolve over time and whether the provider has the flexibility to evolve with you. Client satisfaction feedback. 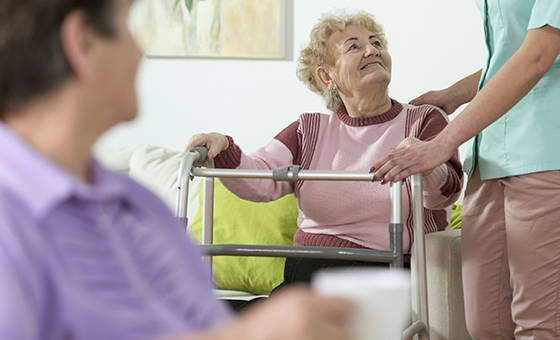 The best home care providers are those that continually assess the quality of care delivery. Does the provider have a clear process for problem resolution? Is there an escalation process for concerns? Are supervisors involved in assessing the quality of care? Will you have the opportunity to participate in surveys or provide feedback? Appropriate credentials. It’s important to seek a provider that secures and maintains the applicable licensing to provide services. Licensing requirements vary by state. Providers should also maintain appropriate bonding and insurance. Transparent policies. To manage the expectations for the investment required for home care services, make sure you understand a provider’s financial policies. Written estimates and formal billing for services helps keep everyone accountable. Also inquire about policies for things like caregiver support, caregiver conduct and client confidentiality. Enthusiastic references. 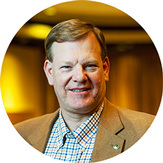 How can you gauge whether a home care partner will live up to its promises? Talk to people who have experience with the provider. Ask the provider to supply references. Or seek recommendations from people within your network, including healthcare providers. Once you’ve covered all of your bases, there’s one more thing that’s valuable in the selection of a home care provider: third-party validation of quality. This can come in the form of endorsements, rankings or awards. 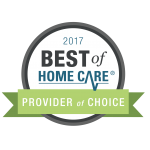 FirstLight Home Care is proud to have been recently recognized as one of the top providers in the industry by the 2017 Best of Home Care Awards®. 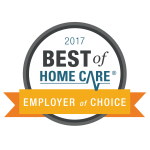 Presented annually by Home Care Pulse, a third-party research and quality assurance home care satisfaction measurement firm, the Best of Home Care Awards are based solely on feedback from clients and employees, making them a meaningful consideration in the selection of a home care provider. Best of Home Care Awards are presented to companies that believe strongly in providing the best home care services and have contracted with Home Care Pulse to effectively measure the quality of care they provide. FirstLight was among the most-awarded providers for all of 2016, with more than one-third of our locations across the United States being recognized with a Best of Home Care Award. If you’ve decided a home care partnership would provide a needed lifeline for you or a loved one, FirstLight Home Care would welcome the opportunity to tell you about what we have to offer. With a broad range of services, and locations in more than 150 markets across the United States, we can help you or your loved one achieve and maintain independence in whatever place you call home. And with an unmatched Culture of Care, we can also help enhance quality of life. Find a FirstLight location today to request a free consultation.